Online subscription revenue gained nearly 18 percent to reach $400 million in 2018, while digital advertising rose 8.6 percent, to $259 million. In the last three months of the year, digital subscription sales grew at a slower pace, about 9 percent, to $105 million. That slowdown was came partly as a result of marketing efforts to draw more paying readers. 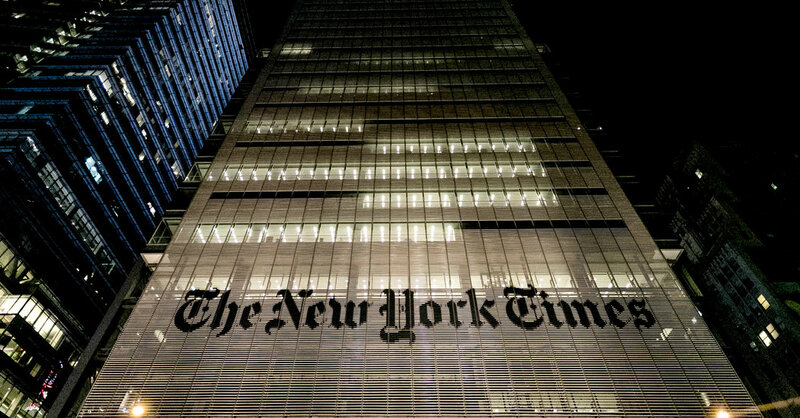 The Times has offered introductory discounts for online access, which attracts new readers who bring in less revenue. Over time, the company expects many of them to become full subscribers. The company hit another revenue milestone: Digital advertising surpassed print advertising for the first time, jumping 23 percent to $103 million in the fourth quarter. Print advertising fell 10 percent, to $88 million. Digital news organizations have also struggled. Last month BuzzFeed laid off 15 percent of its work force, roughly 220 employees; Verizon Media Group announced a 7 percent cut in its media divisions, which equals about 800 positions; and a 10 percent cut is underway at Vice Media. At The Times, the total revenue in the fourth quarter was $503 million, a nearly 4 percent increase from a year earlier. Operating profit decreased by 17.5 percent, to $75 million. The drop was partly due to an extra week in the fourth quarter of 2017. The company also said it would increase the dividend it pays out to shareholders by 25 percent. Investors who own Times Company stock will receive 5 cents per share every quarter, costing the company about $33 million a year. That will also benefit the Ochs-Sulzberger family that controls The Times. As last February, the family reported it owned about 9 percent of the equity in the company. The company entered into the sale-leaseback agreement with W.P. Carey & Company, an investment firm, in 2009 in order to raise $225 million. At the time, the company was looking to pay down its debts, which stood at more than $1 billion, during a severe slump in the newspaper industry. What Is The Difference Between A Button-Up And Button-Down Shirt?